As the fire trucks leave you’re left to deal with your losses. And a growing worry about what to do next. Even “small” kitchen fires require extensive training and specialized equipment for proper fire cleanup. The first 24 to 48 hours are the golden hours for preventing further losses and additional damage that would add to the time and expense of fire damage restoration. 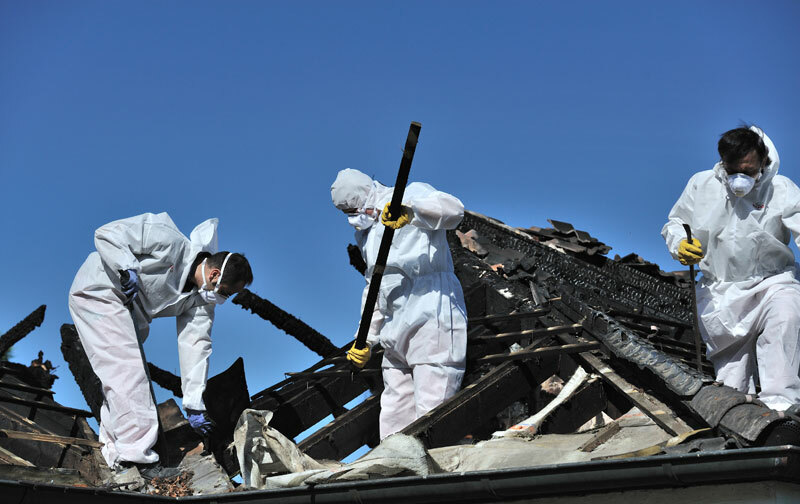 So our certified damage remediation teams are always ready to serve Riverside and San Bernardino Counties. They can provide end-to-end services, from first inspection to repairs and final haul-away. We document everything all along the way for your business or home insurance claim. Our fire damage restoration specialists will rescue as much as possible, and our highly-skilled crews will take care of visible as well as any hidden structural damage in your home or business. If necessary we’re also licensed for tear-outs and demolition followed by complete reconstruction worthy of the best remodeling services. 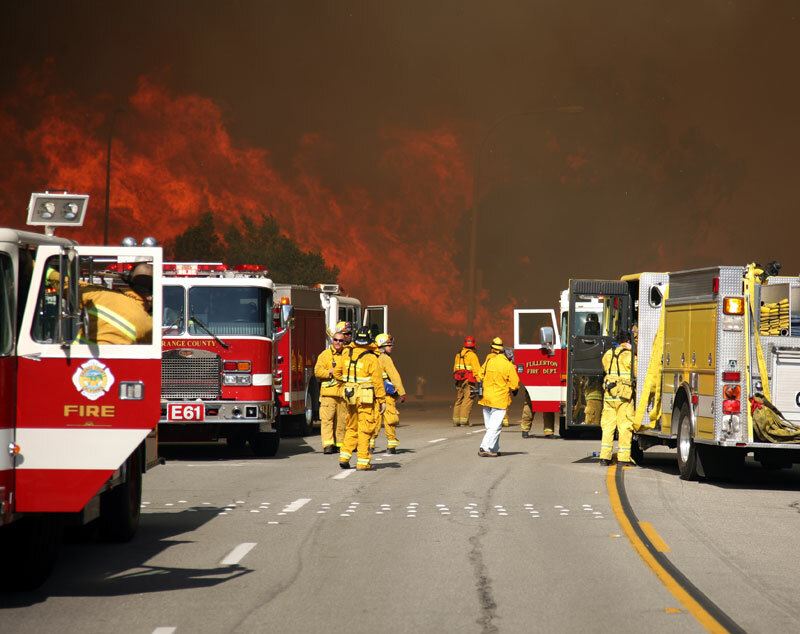 We’re the only fire cleanup company you need to call. Our fire damage restoration teams handle everything from debris removal to replacing cabinetry. For damage in your home, our experienced pros will help you make replacement versus restoration decisions, and respect the sentimental value of your treasures. For business fire damage projects we recognize the value of business records as well as inventory, and work to keep your facility occupied and operational to the greatest extent possible. A fully licensed and insured contractor, our technicians are certified by industry leaders such as the CMI, EPA, IICRC, NSHI, and PMI. We’ll work directly with your business or home insurance company to make sure that all their mitigation and documentation requirements are met for faster claims processing. And our experienced project managers allow us to take on the largest and most complex jobs with confidence. Our expertise in water damage remediation services means that we can head off most damage that would otherwise result from the deluge of firefighting and sprinkler-system water. Aggressive drying and certified mold remediation mean fewer lost possessions and fewer building repairs. We’re also experienced in neutralizing and removing the residues left by fire extinguishers. Proper soot and smoke removal requires specialist cleaning techniques and products. We’ll thoroughly clean all building surfaces as well as all at-risk possessions. That includes deep-cleaning carpet and upholstery. We also deploy unique equipment that thoroughly and permanently neutralizes fire and smoke odors.